Are you trying to find a way of getting out of your Villa del Palmar timeshare contract legally? 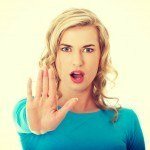 Do you want to cancel your timeshare? Read on. Cancellation or breaking of Villa del Palmar timeshare contracts is not encouraged. 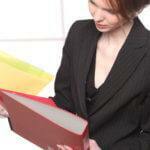 Customers who want to get out of their timeshare contracts may sometimes get into difficult situations. If you really need to do so, there are certain things that you have to know. Timeshare purchases made at Villa Group’s official resorts are bound by Mexican laws. 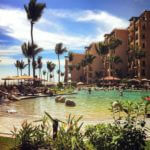 These resorts include Villa del Palmar Cabo, Villa del Palmar Puerto Vallarta, Villa del Arco, Villa del Palmar Cancun, and Villa del Palmar at the Islands of Loreto. If you have bought a timeshare at the official sales office, these representatives offer genuine timeshare memberships which cannot be cancelled outside of the cooling off period. Transactions with these official Villa Group personnel cannot be easily canceled. 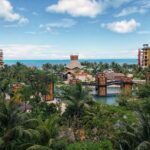 If you are desperate to find a way to get out of your Villa del Palmar timeshare contract, you may be tempted to use the services offered by fraudulent companies who claim to be able to cancel your timeshare. These online companies are just after your money. Be wise and careful in making transaction with these kind of organizations. Instead of truly breaking your contract, the only thing they do is redirect your post and any demands, so you are not aware of your breach of contract. In reality, customers cannot cancel a legally binding contract such as Villa del Palmar timeshare contracts. The only possibility of cancellation is when a clause in the contract allows it. These contract-breaking companies will not provide the help you need, but will make you believe that they have done their job. At the end, you will find out that your timeshare contract continues and you have failed in paying your dues. Read and understand your Villa del Palmar timeshare contract. Find out if there is an option or clause that allows cancellation. If there is, check if it is with or without penalty. And if there is, then it is clear that a cancellation is possible. Getting other companies to help you is not necessary. When no clause is indicated for a possible contract termination, that means you cannot break such contract. This period is given to Villa del Palmar timeshare contract holders so they have time to think about their contracts. This is a provision given by the Mexican government as protection for consumers and buyers who have complaints for the products or services they receive. The cooling off period should be mentioned in your contact. After this time, the contract is set and you cannot go about breaking it. We would like to hear about your experiences about breaking Villa del Palmar timeshare contracts. Please share them or leave your comments below. Share the post "Get Out of your Villa del Palmar Timeshare Contract Legally"